Blitzkrieg' not only shows you the big picture, economically, strategically, but also takes you right into the Panzers. This book looks at the nuts and bolts of the German army during the Blitzkrieg years. It gives you a background on the theory of blitzkrieg war-making as well… As usual, this Casemate Publishers book is a well written and absorbing read. For those of us who are interested in the tactics and strategy of the early war years, it is a book you won't want to miss. For those who wargame these periods there are some good scenarios which would translate very nicely onto the wargames table. 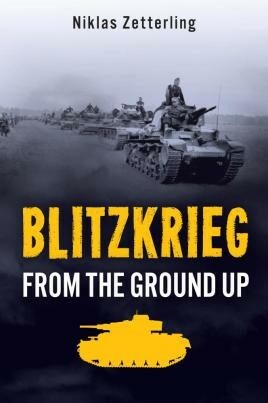 A comprehensively detailed work of definitive scholarship… 'Blitzkrieg: From the Ground Up' is an extraordinary and highly recommended addition to community and academic library World War II Military History collections.